Tenants at 967 Chili Avenue held a rally Monday to protest the poor conditions of their building. Those actions have gotten the City of Rochester’s attention. The city has threatened to take five of Hungerford’s buildings into receivership if past-due violations aren't addressed. 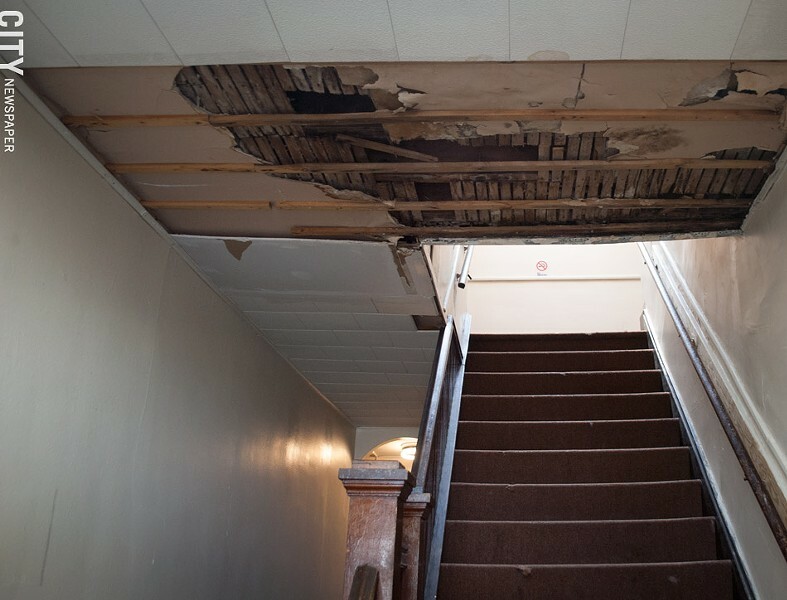 Through receivership, the city or a third party would take control of the building, collect rent from tenants, and get repairs made in the building. Hungerford was given an April 1 deadline. A ceiling falling apart in the the 967 Chili Avenue apartment building entrance way. 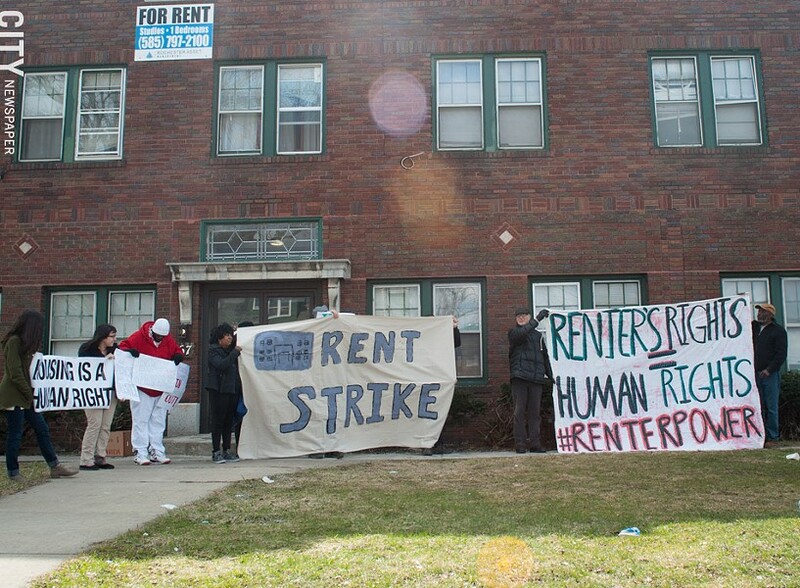 One of the Chili Avenue tenants who is joining the rent strike is Katt Wilson, who said she has had electrical problems in her bathroom, and one of the windows in her apartment isn’t properly installed. 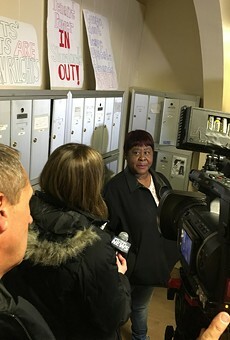 She said she hasn’t heard back from Rochester Asset Management, Hungerford’s company that manages his properties. Part of the problem, tenants have said, is there aren't enough maintenance workers for multiple buildings.